We very much pride ourselves in our LowBed Trucking division. We feel it’s the “cherry on top” to our ‘WE TRUCK IT ALL’ motto. It also adds value to our comprehensive full-service construction trucking company. Our LowBed fleet consists of 16-tire LowBed trailers and traveling axle trailers with the capacity to haul up to 45 tons of payload. Anything from skid steers and backhoes, to loaders, excavators and scrapers, we will get it down the road for safely (and before curfew)! Once again we pride ourselves on customer service and understand that you have expectations for us to be a partner you can trust. Our drivers are dedicated and our vehicles are maintained to the highest of standards, try us if you have not already. We won’t let you down. 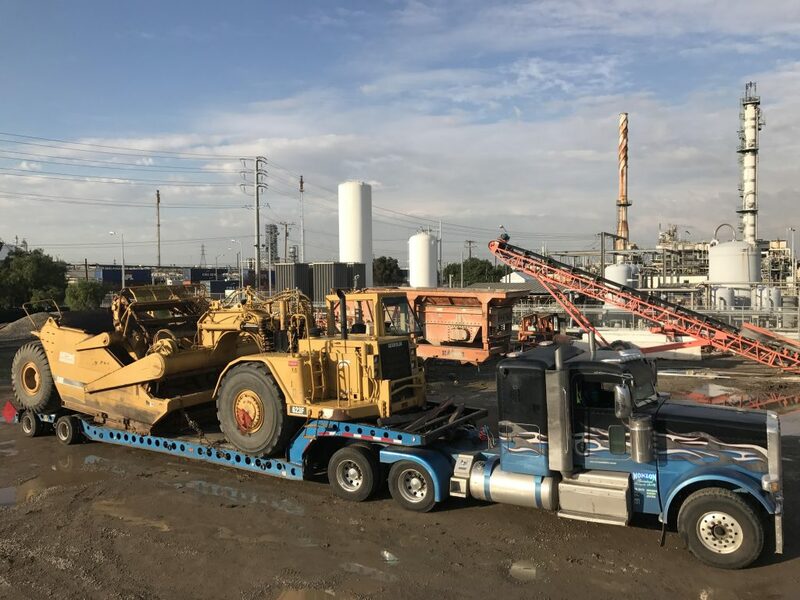 So call us for heavy hauling of your oversize equipment, our crew will be able to asssist and provide you with top notch service.